Call all your friends and tell them it’s time party. 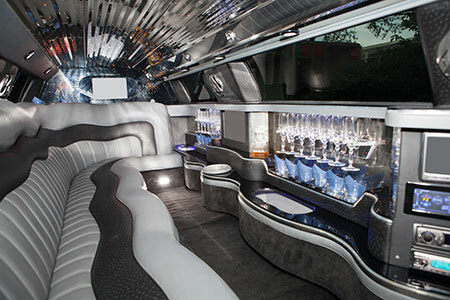 With San Antonio Top Limo’s party busses, you can party all night long. Equipped with all the gadgets you would want, our party bus is ready to rock and roll into San Antonio with everyone on board and ready to go. Want to hit the town and have a great time? Our party bus is great for inviting all your friends to have the best night ever. Get everybody to the destination of your choice in style. Our professional drivers will make sure you get there on time and safely, ready to party. Our party busses are equipped with the party equipment you want. 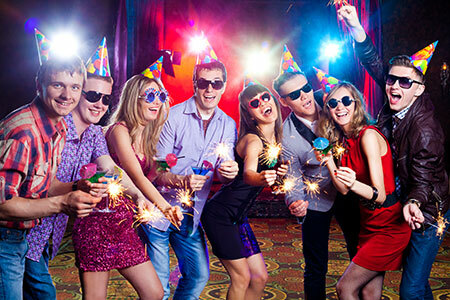 Neon and LED lighting will make sure it’s fun filled and flashy so the party never ends while you’re inside. Flat Screen TV’s for anyone who wants to sit back for a second and catch up on that sports game that’s going on. Loaded Surround Sound Speakers System to make sure you can hear every detail of your favorite songs all night long. And you get to play the music you want to, with our DVD/CD and iPod connectors. Inside is also a full-sized bar loaded with ice bins and glasses for you to enjoy a cold drink whenever you need it. Our chauffeur’s are trained to drive our party busses smoothly and safely, so you can enjoy every second inside. Just heading out to town with some friends? Perfect, take them out in one of our awesome party busses for the night of their lives. Want to go to the Spurs game in style? Call us and tell us you want our party bus, and we can make it happen. Party all the way there, and party even more after the game, wherever you want. Wanting to throw a bachelor or bachelorette party? We can deliver with our massive party bus with that as well. Invite all your friends and get the party started before the big day. And it isn’t just these celebrations in particular either. Birthdays, corporate events, and even Church group events can be accommodated for. Just tell us where to pick everybody up, and we will show up on time ready to roll. Hop in and enjoy every part of our awesome party bus. This is your club on wheels. Everything you need to party is stocked inside. Speakers, TV’s, lights, a bar, and your friends all add up to what could be the best night you have ever experienced. Grab all the friends you can and hit the road in one our party busses today. Give us a call and we can hook you up with several sizes of party busses to make sure everybody has plenty of room to party. Pump the music and get the celebration happening today in one of our luxurious and roomy party busses today!